It has been Dr. Latisha Marbuary’s lifelong aspiration to be an optometrist. Dr. Marbuary provides comprehensive eye exams for glasses in addition to the latest advances in contacts such as daily disposable and multifocal contact lenses. She treats acute eye emergencies, dry eye and other ocular diseases and prides herself on providing compassionate, patient-centered care. Dr. Marbuary is a graduate of the University of Montevallo and the University Of Alabama School Of Optometry. She recently moved to the area in early 2016 with her husband Bryan, and their two sons, Adam and Bryan II. 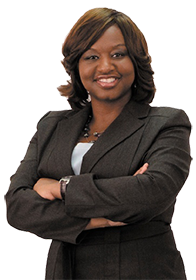 Dr. Marbuary is a member of the Zeta Phi Beta Sorority, Incorporated and is active in many community activities while living in the Hoover area. She is excited to get to know the Athens community and become involved in civic organizations.